GVC Holdings has been a fixture in Europe since the early 2000s. It offers sportsbooks, online lotteries, and online casinos. The company has had a lot of success in Europe. Now, GVC and gaming experts plan to expand into a larger market. This time, it’s not in Europe. It’s in the United States. Founded in Luxembourg in 2004, GVC Holdings has some form of gaming in 18 countries. GVC has rapidly expanded over the last 10 years. It has partnered with William Hill, Bwin.Party, and Ladbrokes Coral, as well as another sportsbook based in Australia. Recently, GVC signed an agreement with MGM Resorts International that would allow sports betting at its resorts. The company and MGM Resorts will continue their partnership as sports betting becomes legal in more states across the country. GVC currently holds sportsbooks, as well as online casinos, poker rooms, and bingo parlors. When the company began, it only had five employees. Now, it currently has nearly 3,000 employees. The company has offices in North America, South America, Europe, and Australia. 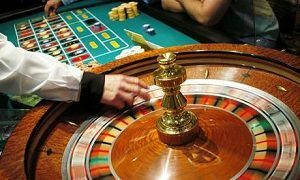 GVC Holdings is looking to expand its empire in other locations because of the regulatory nature of European gambling. This is especially true in the United Kingdom. The company reported that despite a strong first quarter, earnings were down slightly in the second quarter. GVC expects that trend to continue. The decline in revenue comes as the U.K. is planning to curb advertising for sportsbooks on television and streaming services. Online gambling in the U.K. has demonstrated sharp growth. However, the U.K. government plans to raise taxes as well as curb the betting limits on fixed odds betting terminals. And, this may lead to closures. The first series of closures would be with the Ladbrokes Coral bet shops. These shop closures mean that the company would lose $131 million of revenue yearly. The company has already said it may close as many as 1,000 of its Ladbrokes Coral shops. It’s not just in the U.K. where there is a problem with gaming regulations and sportsbooks. For example, Italy has banned all television ads that are favorable to gaming. Australia has banned sports advertisements by gambling companies or sportsbooks during matches. This has hurt companies, such as GVC, that do business in Europe. GVC’s rivals, including William Hill and Paddy Power, have taken some of their business and focus to the United States. William Hill has also signed an agreement with MGM to offer sportsbooks at some of its casinos. Paddy Power has signed an agreement with Eldorado Resorts to offer sportsbooks at its resorts in states where they’re legal. July’s earnings statement for GVC reflected the hope that movement toward the United States market will improve its financial outlook. Already the July outlook was better than the previous July, with an 8 percent increase year-over-year. 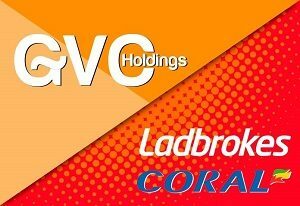 The company has also amassed additional savings from the completion of its Ladbrokes Coral purchase. 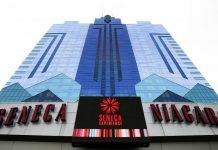 In addition, the company will benefit from having its gaming sites and sportsbooks in 21 languages and 19 different currencies. GVC is ready to move its sportsbooks into casinos or race tracks as sportsbooks become legal in additional states. Experts have predicted that at least nine states will have sports gaming by the end of 2019. GVC is also looking to expand its online casino and poker games into states that are beginning to allow it. New Jersey has passed legislation to legalize online gambling. 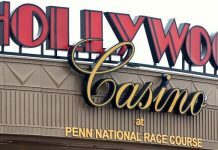 Pennsylvania has also legalized online gaming, as has Nevada. So, it would appear the market for GVC is going to continue to grow.